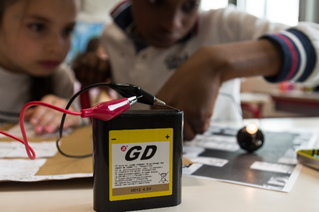 “Teacher, that’s the day when we set up a multi-socket!” Giving individuals access to their energy usage, thanks to the VivaCité platform, is an ongoing initiative in Grenoble. 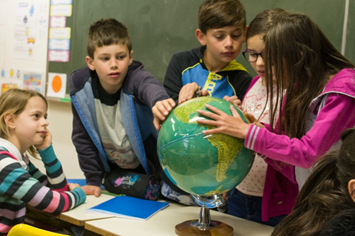 As part of the 3rd edition of the successful “School Energy Challenge” lead by ALEC (local energy and climate agency) on the metropolitan area of Grenoble, one school benefits from a close monitoring and data sets to “play” with. But what kind of data should be shown? On what scale? Which kind of data could be relevant for an educational purpose? Grenoble experiences this with Anthoard elementary school. Assuming that awareness and understanding of energy consumption leads to a more conscious lifestyle, ALEC is working on ways to engage children in energy efficiency The question here is what kind of data should be shared with them to stimulate their curiosity ? That is what ALEC (Local Energy and Climate Agency of Grenoble metropolis), GEG and the municipality of Grenoble are testing with Anthoard school. For ten-year-olds, power consumption means nothing unless they understand the impact of their actions. Traditionally meters are equipped to show our general (combined) energy usage (electricity, heat, water, etc.). Those data are however much too abstract to engage people on. Thanks to a specific instrumentation on the electrical panels, pupils have now access to the energy use of these two classrooms specifically in a way that for example the use of lighting can be distinguished from the use of other electrical equipment. The results are really interesting ! Thanks to reports published by ALEC and produced with the help of teachers, pupils are able to understand quickly what happens if they forget, for example, to turn off a multi-socket at night. They even decided to visit younger classes to inform them of possible ways to reduce their power consumption. This educational and playful initiative will conclude at the end of May with a short movie narrating its story and showing how curious and motivated pupils are. Example of two graphs given to the pupils. These charts show the electric consumption of an usual day and of a day out of school. Interested to stay updated? Send an email to Geneviève Goubel from ALEC and we’ll send you a message when we publish our video!